Can Going Back To Basics Close Your SEO Leads? Welcome back for another informative blog! We’re always up for helping you learn a little bit more about the world of SEO, but sometimes we can get a bit staunch in how we delivery the info. We want to be sure everyone is able to understand us, from the novice to the professional. Which is why, this week, we’re going to pull a Christina Aguilera and go back to basics. Many people get involved with SEO because they want to be able to reach more people with their brand message and market products and services. Explain to your new SEO leads that SEO optimizes their website so that search engines understand the many different audiences you can help. The second way to help your client grow leads is by making more of their website’s pages readily available and more desirable to search engines. This helps increase opportunities to bring targeted messages to that larger audience we were discussing earlier. 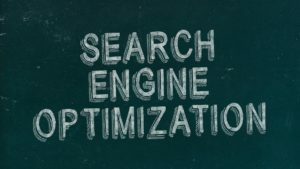 SEO will also make your pages the Queen Bee of search engines, putting you in a stronger position than the competition when it comes to appearing higher in search results. This is important, especially when you look at the numbers: position numero uno on the first page of search results gets a whopping 32% of all traffic for that result, while second place yields a measly 17%. The numbers don’t lie, folks. Getting more people to your website is only half the battle. The other half of the battle consists of using SEO to ensure that your client’s web traffic quality drastically improves. This means working extremely hard to produce optimized content that targets your potential audiences. In essence, a potential customer at the beginning of the purchase process will require very different content than someone at the point of purchase. It’s important to put a relevant message in front of an audience at the exact right point in their journey, which will increase the likelihood of getting them hooked on your brand throughout that journey. SEO is not a “one and done” kind of thing. You’re going to mess up and make some crucial mistakes. SEO takes some trial and error, figuring out what your audiences respond well to and what they ignore. For this, ongoing analysis will always be a part of the process. It may sound tedious, but the result is stronger SEO, higher conversion rates and more leads. At this point, you can probably tell that we at Web Leads are not just in the business of selling SEO leads, we’re extremely involved in our clients’ businesses. We want to help your business reach its fullest potential by providing a reputable and honest service that will positively affect your sales. But enough about us, experience the results for yourself. Click here to Try Leads! Do Your New Leads Understand Your Services?